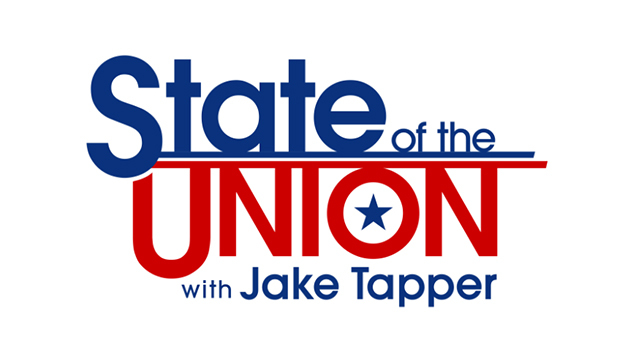 Today on CNN’s State of the Union, Jeff Weaver, Senator Bernie Sanders campaign manager, joins anchor, Jake Tapper to discuss repercussions of the recent DNC e-mail leak, repercussions and more. Weaver on DNC e-mail leak: [TAPPER] I’m — I don’t know about you, but these e-mails are pretty stunning. [WEAVER] They are stunning. And it’s very, very disappointing that you see, in black and white, how top officials at the DNC were plotting to put negative stories out about Senator Sanders, about how they planned to attack him on his religion. It’s really — I mean, that’s just not what the Democratic Party is about. Weaver responds to DNC e-mails plotting to leak stories about Sanders to the press: [TAPPER] The chief financial officer, Tom Marshall, I think is his name, was the one talking about the religion, and whether Bernie was Jewish or believed in God, or was an atheist or whatever, and how that might help Hillary, presumably, win voters in Kentucky and West Virginia….Is there any evidence that any of these plots actually went to were reporters and were pitched as stories? [WEAVER] Well, it’s hard to know, because, as you know, a lot of time reporters get off the record documents and they’re loath to give up their sources. So it’s difficult to document when these things happen. But what is really very disturbing is that you had not only the CFO but you had the top staffer at the DNC, Amy Dacey, responding to that whole chain with the word, “Amen.” So it was clearly from the top — you know, all the top people were involved and it’s very disappointing. And I think, you know, it’s great that Debbie Wasserman Schultz is not going to be speaking here, but, look, we saw in the Republican convention, we spent 48 hours with a drip, drip, drip as they refused to deal with the fact that Mrs. Trump had obviously lifted some lines from Michelle Obama’s speech. I think that we should show, as Democrats, that we’re more mature than that. There’s obviously a problem here. Someone should resign. It should be — Debbie Wasserman Schultz should resign. Maybe some staffers should resign. We’re just going to pull the Band-aid off this, get past it. I mean, there’s likely to be more e-mails released in the next couple days, and I’m sure there other time periods in the campaign — which you’re aware of, like the data breach time period — where there was a lot of tension. I’m sure those e-mails will be even worse. Weaver on if Wasserman Schultz should step down: We’re here this week to celebrate the unity of the Democratic Party, to make the case why Hillary Clinton should be the next President of the United States. [TAPPER] You still think that? [WEAVER] Of course. Why we need to defeat Donald Trump. I mean, these are — this is the message we want to talk about. We don’t want to be sitting here talking about Debbie Wasserman Schultz’s handling of the DNC, which was obviously a real problem from the get-go, and we’ve — as you have pointed out, I have pointed out throughout the campaign. But now we have this new evidence of problems at the DNC. We need to get by this and one of the reasons — one of the ways to get by this is for Debbie Wasserman Schultz to step down for the good of the party, put in somebody will be a more unifying figure so that we can bring the party together so that we can stop talking about this, so that we can start talking about the progressive change that we need in this country and move forward. [TAPPER] What if they don’t? [WEAVER] Well, I think — I think that would be a really big mistake. I mean, I think it will send a message to the supporters of Bernie Sanders and others that this is not taken seriously. This was really a serious offense, particularly the subject matter where you’re going to attack people on their religion. I mean, even if they were going to do it against a Republican, it would be a terrible thing. Right? I mean, it’s just not the way that we do politics. Weaver on Mook claiming Russians were behind DNC e-mail leak: [TAPPER]Robby Mook, the campaign — the campaign manager for Hillary Clinton was on the show. You heard him say there needs to be repercussions. He wouldn’t go into detail. But he also said that this was the fault of, according to the experts that he was citing, Russians. Russians hacking into the DNC, Russians giving the e-mails, presumably, to WikiLeaks. And his suggestion was that Russians were doing this to undermine Hillary Clinton, to help Donald trump. There wasn’t a lot of evidence there, just a lot of reference to experts saying this. What’s your take? [WEAVER] Well, if that is clearly the case, that’s an issue that has to be dealt with. If there was some kind of collusion between the Trump campaign and Russian intelligence or Russian hackers, that clearly has to be dealt with. But that doesn’t get away from the fact that the substance of these e-mails shows that the DNC was clearly putting its finger on the scale against Senator Sanders. And I mean, it does — it raises other issues. Why is the DNC’s system so fragile that these people can hack into it? You know, this whole data breach issue where we complained about how the firewall of the DNC had just fallen down, I mean, this is another example of mismanagement over there when you have an internet system that is so fragile that these guys can just come in and take what they want. JAKE TAPPER, CNN ANCHOR: Joining me live here is Jeff Weaver, campaign manager for Bernie Sanders’ campaign. Jeff ,always good to see you. JEFF WEAVER, BERNIE SANDERS CAMPAIGN MANAGER: Thanks, Jake. TAPPER: I’m — I don’t know about you, but these e-mails are pretty stunning. WEAVER: They are stunning. And it’s very, very disappointing that you see, in black and white, how top officials at the DNC were plotting to put negative stories out about Senator Sanders, about how they planned to attack him on his religion. It’s really — I mean, that’s just not what the Democratic Party is about. TAPPER: The chief financial officer, Tom Marshall, I think is his name, was the one talking about the religion, and whether Bernie was Jewish or believed in God, or was an atheist or whatever, and how that might help Hillary, presumably, win voters in Kentucky and West Virginia. TAPPER: Is there any evidence that any of these plots actually went to were reporters and were pitched as stories? WEAVER: Well, it’s hard to know, because, as you know, a lot of time reporters get off the record documents and they’re loath to give up their sources. So it’s difficult to document when these things happen. But what is really very disturbing is that you had not only the CFO but you had the top staffer at the DNC, Amy Dacey, responding to that whole chain with the word, “Amen.” So it was clearly from the top — you know, all the top people were involved and it’s very disappointing. And I think, you know, it’s great that Debbie Wasserman Schultz is not going to be speaking here, but, look, we saw in the Republican convention, we spent 48 hours with a drip, drip, drip as they refused to deal with the fact that Mrs. Trump had obviously lifted some lines from Michelle Obama’s speech. I think that we should show, as Democrats, that we’re more mature than that. There’s obviously a problem here. Someone should resign. It should be — Debbie Wasserman Schultz should resign. Maybe some staffers should resign. We’re just going to pull the Band-aid off this, get past it. I mean, there’s likely to be more e-mails released in the next couple days, and I’m sure there other time periods in the campaign — which you’re aware of, like the data breach time period — where there was a lot of tension. I’m sure those e-mails will be even worse. TAPPER: You’re — so you’re — Senator Sanders and you have been calling for Debbie Wasserman Schultz to resign as chair of the DNC for a long, long time. What happens if she doesn’t do it this week and the people who — and there isn’t any evidence of Wasserman Schultz actually involved on e-mails, at least leaked so far, plotting. That’s all of her senior staffers. And I get holding the chief, the chairman — or chairwoman — responsible. But what if neither she or the top officials who actually did the conspiring resign? Then what? What happens to the Sanders supporters? What happens to the unity the Democrats so desperately want and need? WEAVER: We’re here this week to celebrate the unity of the Democratic Party, to make the case why Hillary Clinton should be the next President of the United States. TAPPER: You still think that? WEAVER: Of course. Why we need to defeat Donald Trump. I mean, these are — this is the message we want to talk about. We don’t want to be sitting here talking about Debbie Wasserman Schultz’s handling of the DNC, which was obviously a real problem from the get-go, and we’ve — as you have pointed out, I have pointed out throughout the campaign. But now we have this new evidence of problems at the DNC. We need to get by this and one of the reasons — one of the ways to get by this is for Debbie Wasserman Schultz to step down for the good of the party, put in somebody will be a more unifying figure so that we can bring the party together so that we can stop talking about this, so that we can start talking about the progressive change that we need in this country and move forward. TAPPER: What if they don’t? WEAVER: Well, I think — I think that would be a really big mistake. I mean, I think it will send a message to the supporters of Bernie Sanders and others that this is not taken seriously. This was really a serious offense, particularly the subject matter where you’re going to attack people on their religion. I mean, even if they were going to do it against a Republican, it would be a terrible thing. Right? I mean, it’s just not the way that we do politics. TAPPER: That’s clearly offensive, no matter how you slice it. Robby Mook, the campaign — the campaign manager for Hillary Clinton was on the show. You heard him say there needs to be repercussions. He wouldn’t go into detail. But he also said that this was the fault of, according to the experts that he was citing, Russians. Russians hacking into the DNC, Russians giving the e-mails, presumably, to WikiLeaks. And his suggestion was that Russians were doing this to undermine Hillary Clinton, to help Donald trump. There wasn’t a lot of evidence there, just a lot of reference to experts saying this. What’s your take? WEAVER: Well, if that is clearly the case, that’s an issue that has to be dealt with. If there was some kind of collusion between the Trump campaign and Russian intelligence or Russian hackers, that clearly has to be dealt with. But that doesn’t get away from the fact that the substance of these e-mails shows that the DNC was clearly putting its finger on the scale against Senator Sanders. And I mean, it does — it raises other issues. Why is the DNC’s system so fragile that these people can hack into it? You know, this whole data breach issue where we complained about how the firewall of the DNC had just fallen down, I mean, this is another example of mismanagement over there when you have an internet system that is so fragile that these guys can just come in and take what they want. TAPPER: I haven’t heard you comment on the e-mails that Debbie Wasserman Schultz sent, referring to you in some less than flattering terms. Any thoughts? WEAVER: No, no. Listen, Jake, let me tell you truth. I like to sit at my dining room table with a glass of wine and read all the mean tweets and e-mails about me, and then howl like a wolf. It’s very funny. The worst they are, the better they are. TAPPER: So that didn’t bother you? WEAVER: No, not at all. TAPPER: All right, Jeff Weaver, thanks so much for being here. Really appreciate it.